Review: Is the New Sephora Pro Warm Eyeshadow Palette Worth the Price? 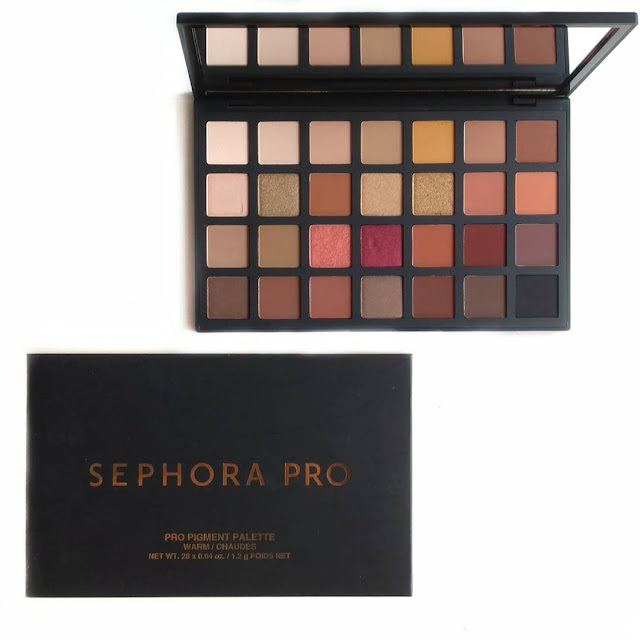 The Sephora PRO Pigment Palette in Warm ($68) is one of three brand new eyeshadow palettes from Sephora Collection. It was created by fifteen top makeup artists from the Sephora PRO team, and comes in Warm, Cool, and Editorial (bright) versions. 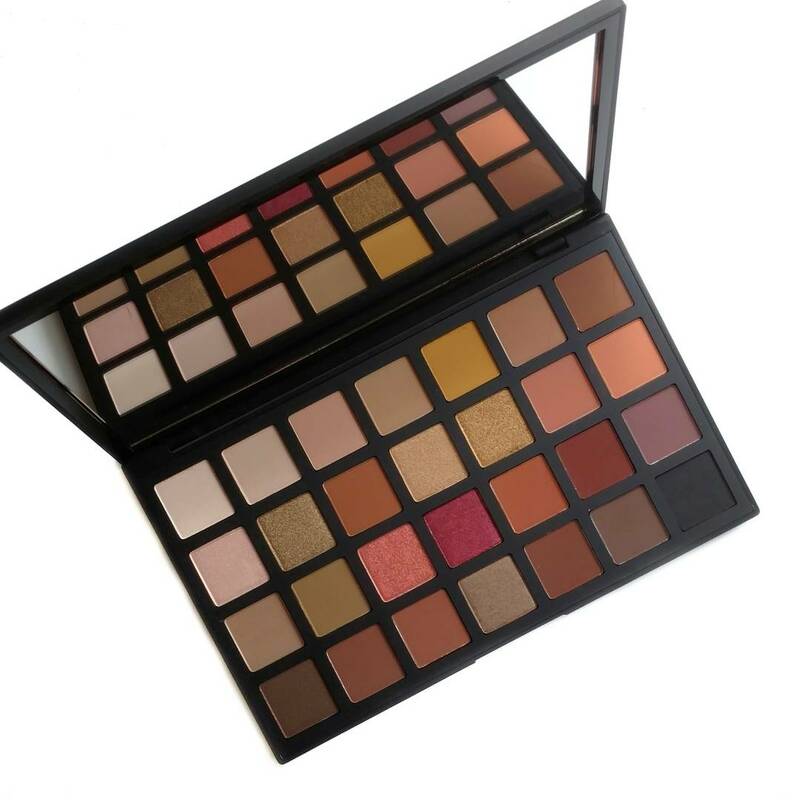 I chose the Warm version because I thought it would be really pretty for the upcoming fall season, and also because the shade selection looks remarkably similar to the Natasha Denona Sunset Palette. I don't own the Sunset Palette, so I'm not able to compare the two, but I was definitely curious about the formula since $68 is pretty steep for a palette from Sephora Collection. In the past, their formula has been pretty hit or miss for me, so I was excited to see if this was a step up for them. Let's take a look! When the palette first arrived, I was pleasantly surprised at how heavy and substantial it felt. The packaging has a very high-end feel and the weight makes it seem expensive without even having touched the product yet. 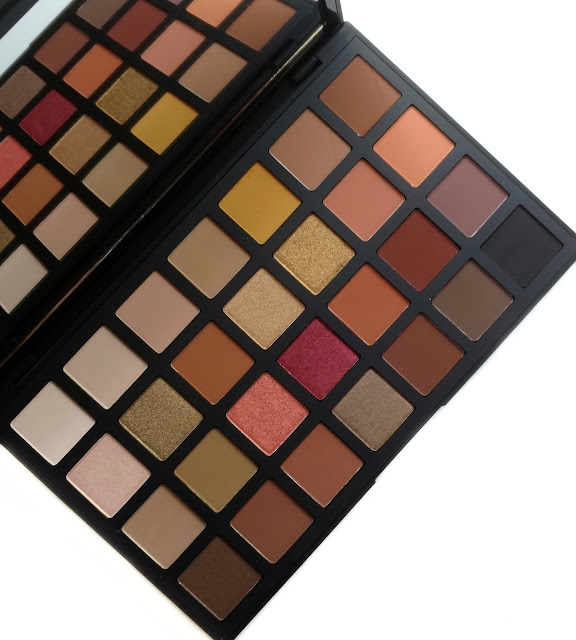 The only thing that disappointed me about the packaging was that the names of the shades aren't printed on the palette...they're on one of those annoying plastic sheets. On the plus side, the mirror on the Sephora PRO Palette is huge and very nice quality so this palette would be great for travel (if you have the room for it!). 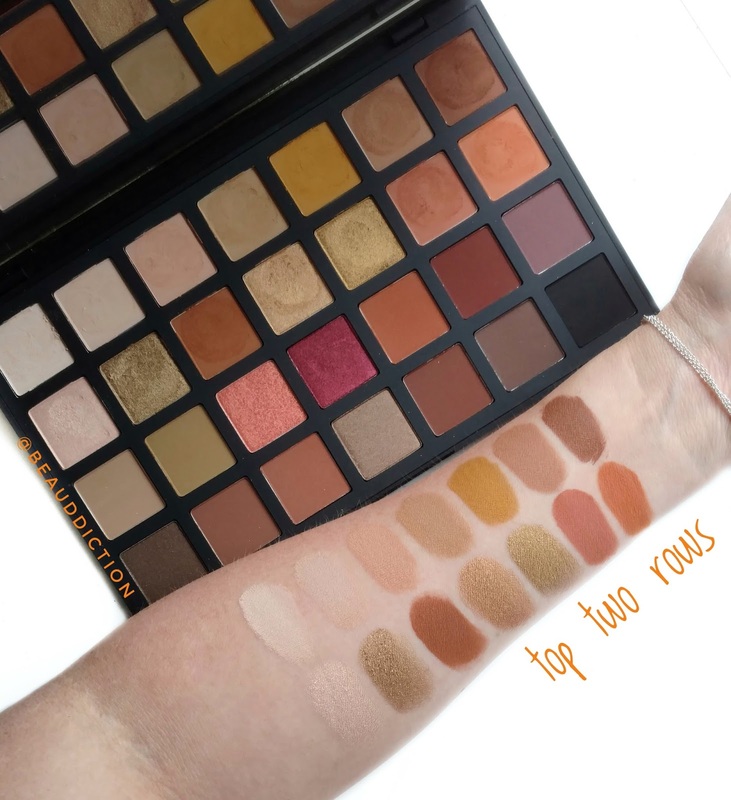 To give you an idea of how large this palette is, I put it side-by-side with my Anastasia Modern Renaissance Palette. Not only does the Sephora PRO Warm have double the number of shades, they are also double the size in weight (.04 oz. each vs. .02 oz. each). That gives the Sephora palette a total weight of 1.12 oz, while the Modern Renaissance Palette offers .28 oz. of product. Since the Modern Renaissance Palette is $42, the price tag of $68 for the Sephora palette doesn't seem quite so bad knowing that it has almost four times the amount of product inside. The question is, does the quality measure up? (More on that in a minute). The color selection is a dream for anyone who likes warm-toned eyeshadows. It has lots of lighter options for highlighting, several mid-toned shades for your crease and transitions, deeper contour shades, and some pretty shimmers for your lid. The Matte shades contain Kaolin to absorb excess oils on the eyelid, and Nylon for a smooth texture and soft feel. They also contain antioxidant vitamins A & E.
The Satin shadows contain coconut and safflower seed oils which allow them to spread evenly. Sericite has also been added for a smooth silky texture. The Shimmer shadows contain high-impact pearls for vibrancy and emollient esters give the powders a buttery feel and boost adhesion to the lid. They also contain vitamins A & E.
As I said above, I have been sometimes disappointed by Sephora Collection eyeshadows in the past but this palette is definitely a winner! 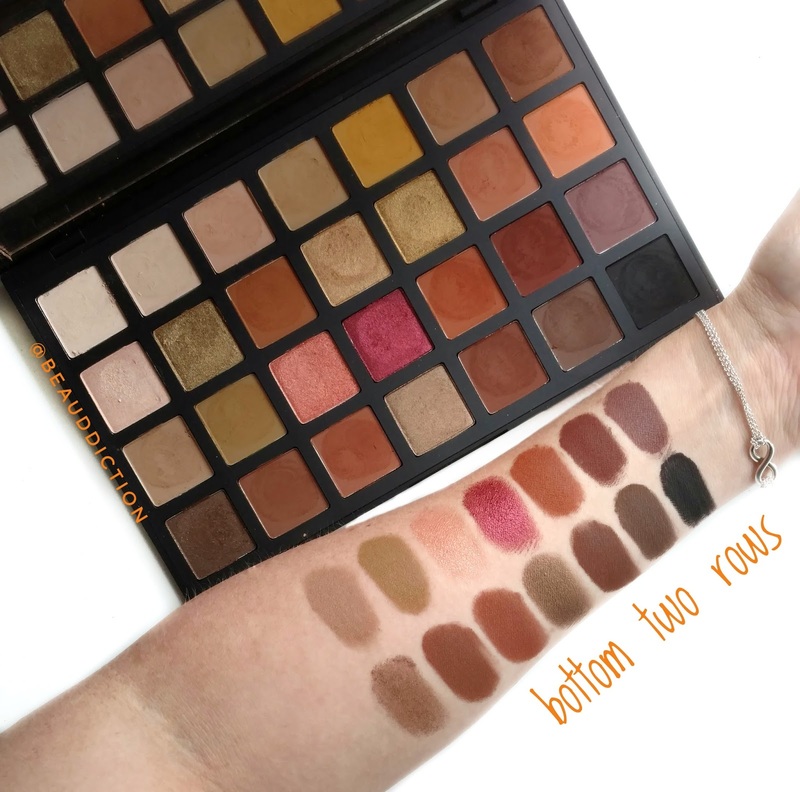 I can't compare it to Natasha Denona since I don't own any of her eyeshadows, but when I swatched it side-by-side with the Anastasia Modern Renaissance Palette, it definitely held its own as far as pigmentation goes (and ABH eyeshadows are some of my favorites). Each and every eyeshadow is super pigmented with one swipe. The mattes feel super soft and not dry at all, while the shimmers have a creamy, buttery feel. The top two rows are perfection with each shade swatching true-to-pan in terms of intensity. The bottom two rows are also stunning and true-to-pan (that shimmery red!) but there are two duds in this palette. The shade Peach (third row down, third shade from the left) looks like a bright shimmery peach in the pan but it swatches very faint and it's hard to get much color payoff from it. I'm thinking maybe using a setting spray or glitter glue with it might help. Also the shade Brown Sugar (fourth row, first shade from the left) is a total miss. It doesn't feel like the other shades in the palette, it's dry, crumbly, and applies unevenly. Other than the two shades I wasn't impressed with, the only other con with this palette is the fallout. OMG...the fallout! It has more kick-up than any palette in my collection, hands-down...it makes quite the mess on my bathroom counter! However, I'm not a person that's bothered by fallout as long as the formula is good, so it's more of an annoyance than anything else. Overall, if you love warm-toned palettes, I can honestly say that in my opinion, this is a good buy. 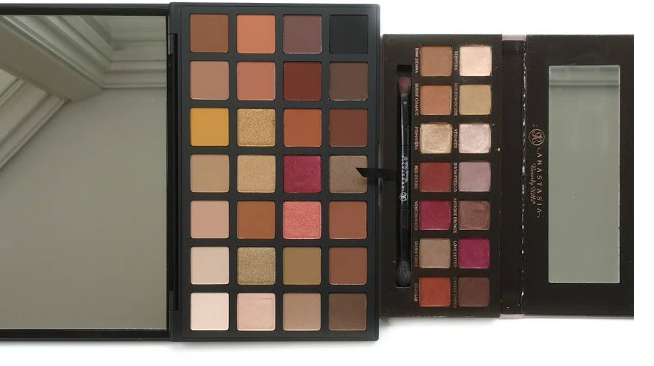 Yes, it's expensive at $68 but you're getting a ton of product, and while I'm not able to tell if it's at the Natasha Denona level in terms of quality, it definitely stacks up to the Anastasia Modern Renaissance eyeshadows (and you're getting almost four times the product). FTC: This post is not sponsored. Product(s) featured were purchased by me. All opinions are 100% my own. Definitely buying this! I don't mind fallout if the pigment is there. 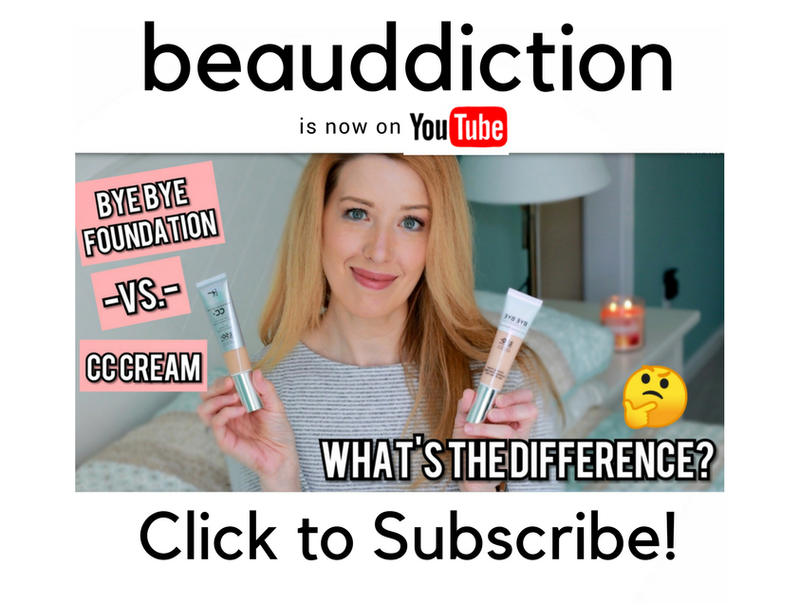 Thanks for reviewing this, swatches look beautiful. I loathe anything made in China, especially things that I'm going to put on my body. So I'm happy to see that this is made in the US! I'm going to Sephora tomorrow and will look for this in-store.